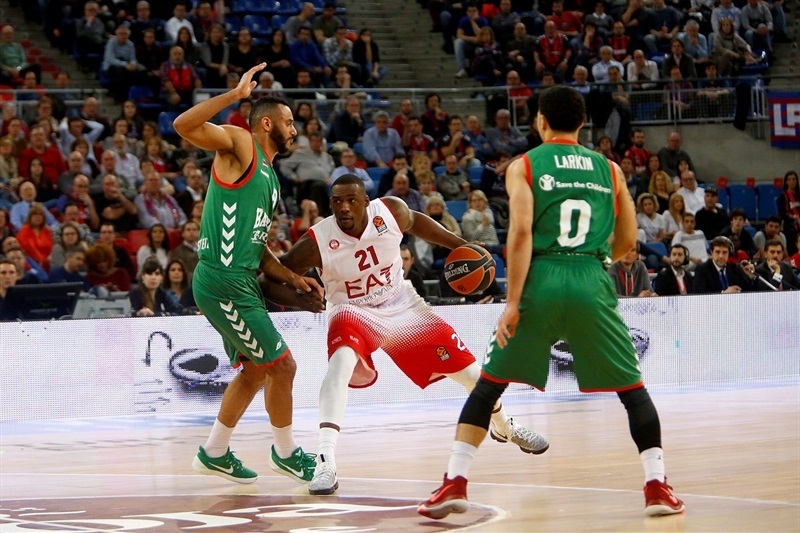 Baskonia Vitoria Gasteiz picked up its first Turkish Airlines EuroLeague win in over a month and improved its chances to make it to the playoffs by downing EA7 Emporio Armani Milan 87-74 at Fernando Buesa Arena on Thursday. 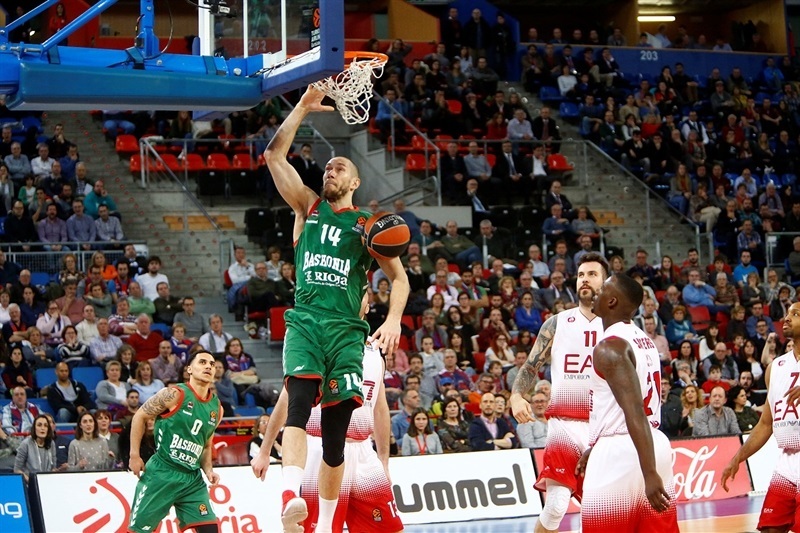 Baskonia snapped a three-game losing streak and improved to 13-11 in the standings, while Milan dropped to 7-17. 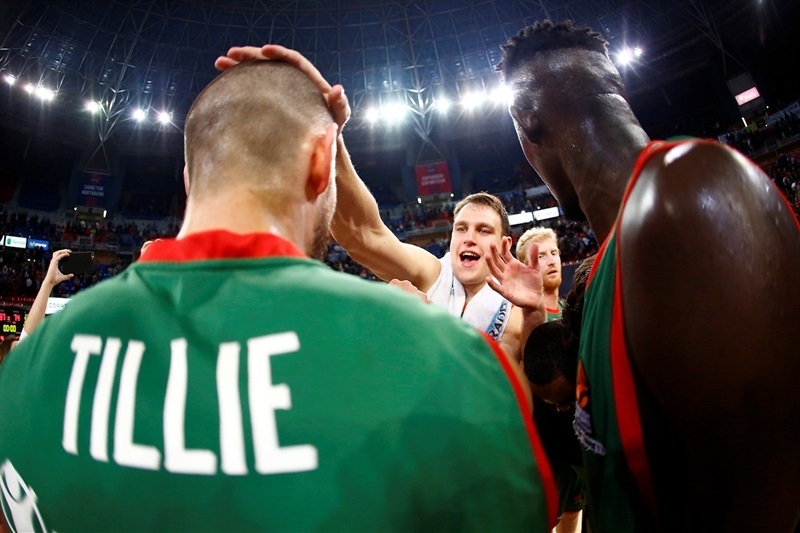 Kim Tillie led the winners with 19 points, Adam Hanga added 18, Shane Larkin and Chase Budinger each scored 13 and Toko Shengelia 11 for Baskonia. 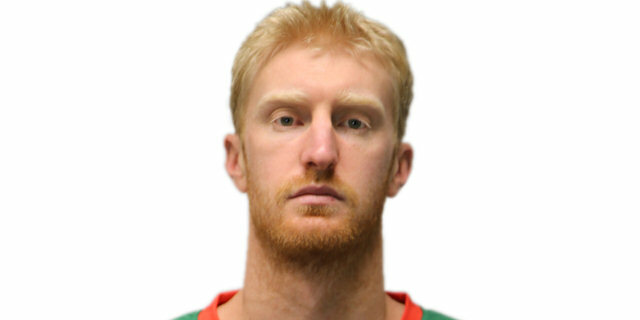 Larkin added 11 assists for a double-double, while Budinger also had 6 rebounds and 7 assists. 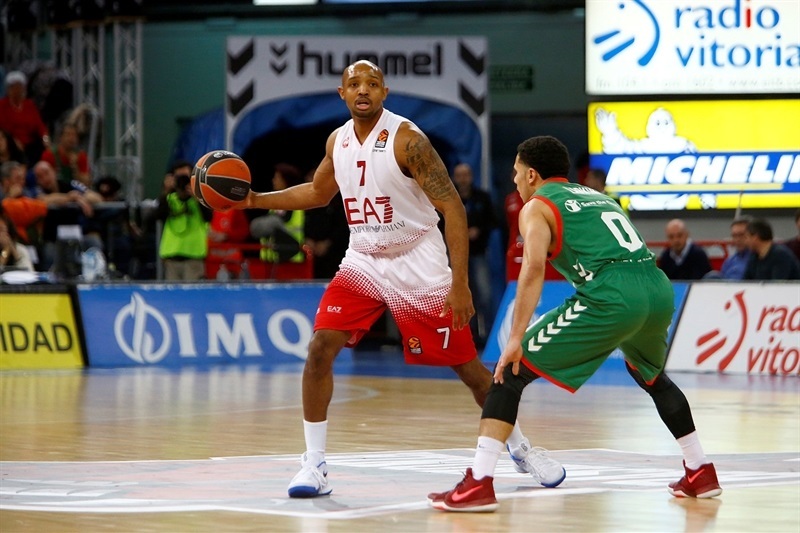 Ricky Hickman, Davide Pascolo and Andrea Cinciarini led Milan with 11 points apiece and Milan Macvan netted 10. 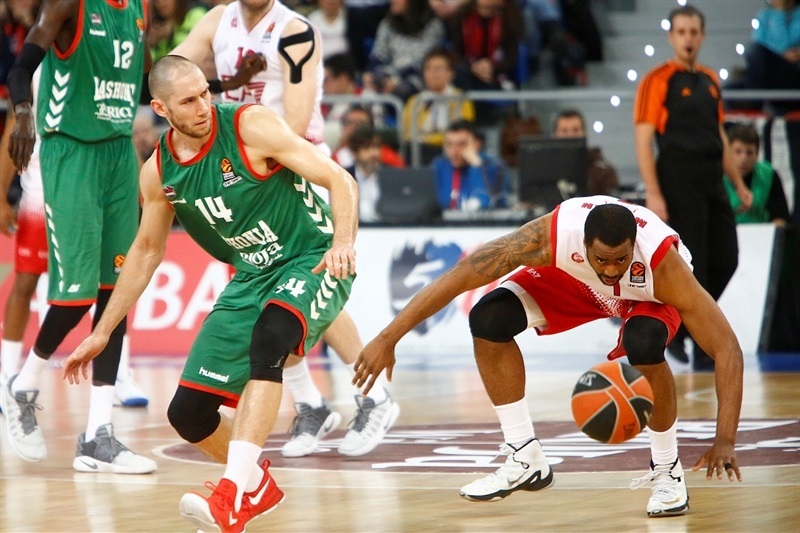 Baskonia dished 28 assists, while Milan had only 16. Budinger got Baskonia going with a three-pointer, but Hickman and Simone Fontecchio each struck from downtown in a 0-10 run that gave Milan a 3-10 lead. 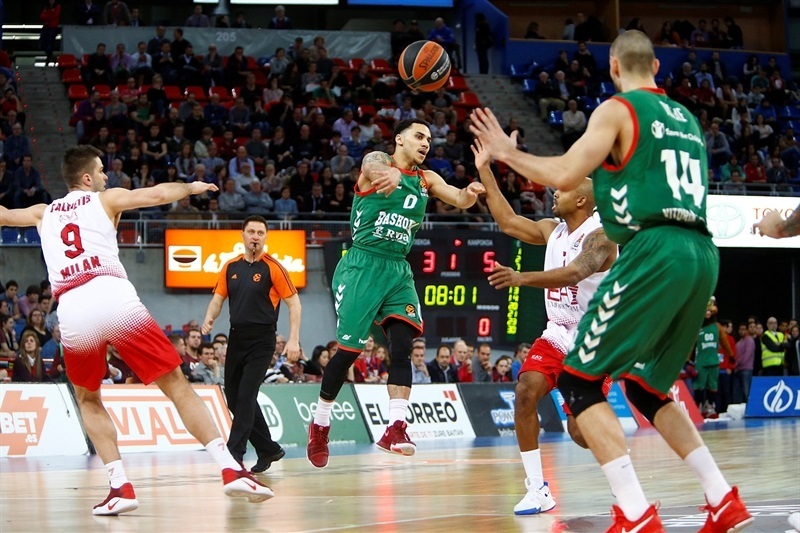 Hanga took over with a put-back layup and three-pointers by Larkin and Tillie got Baskonia within 11-12. 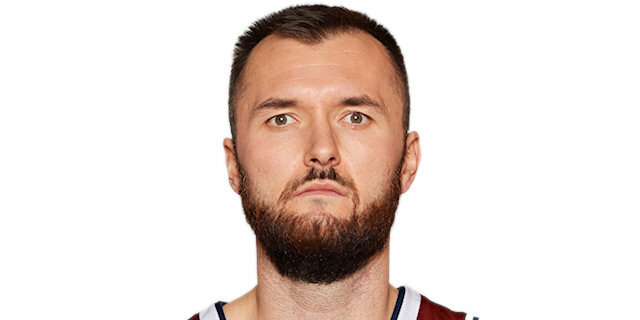 Miroslav Raduljica and Macvan stepped up for Milan and free throws by Hickman established a 16-19 advantage. 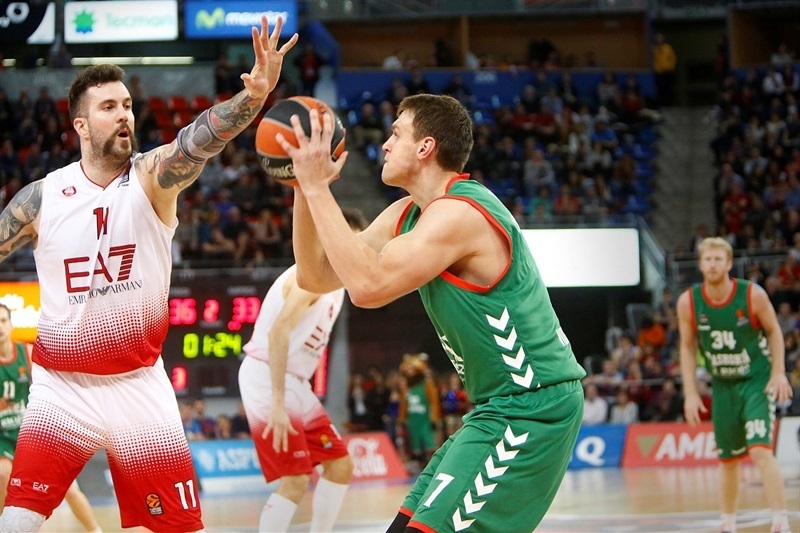 Larkin downed a triple and Shengelia followed a layup with free throws for a 23-20 Baskonia lead after 10 minutes. 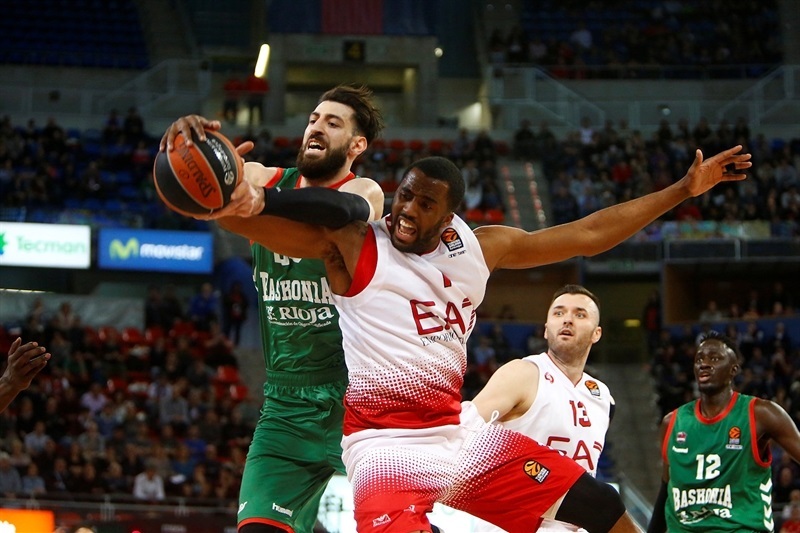 Cinciarini nailed a three-pointer and Jamel McLean added a jumper, but Hanga and Nicolas Laprovittola kept Baskonia ahead, 29-25. 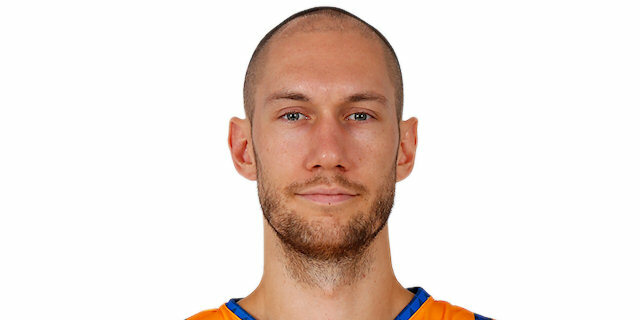 Fontecchio hit a jumper and Mantas Kalnietis added a three-point play that gave Milan the lead at 29-30. Hanga followed an acrobatic layup with free throws and an outstanding Tillie dunked and beat the halftime buzzer with a jumper that gave the hosts a 38-37 lead at the break. 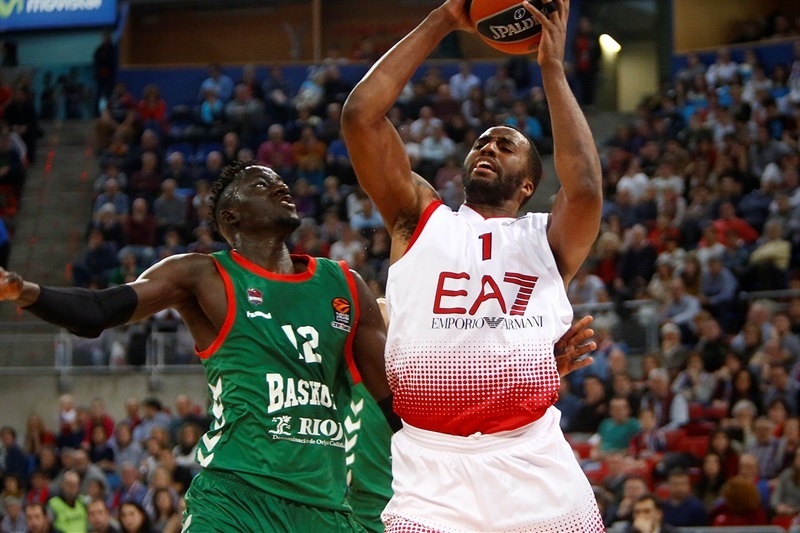 Tillie and Hanga each hit one from beyond the arc right after halftime and an alley-oop dunk by Ilimane Diop soon gave Baskonia a 48-42 lead. Hanga stopped the clocks with a huge dunk and an unstoppable Tillie followed a jumper with free throws to break the game open, 56-42, after a 10-0 run. Hanga was unstoppable and got plenty of help from Larkin and Diop to boost the hosts' lead to 66-49. Pascolo singlehandedly brought MIlan within 66-53 after 30 minutes. 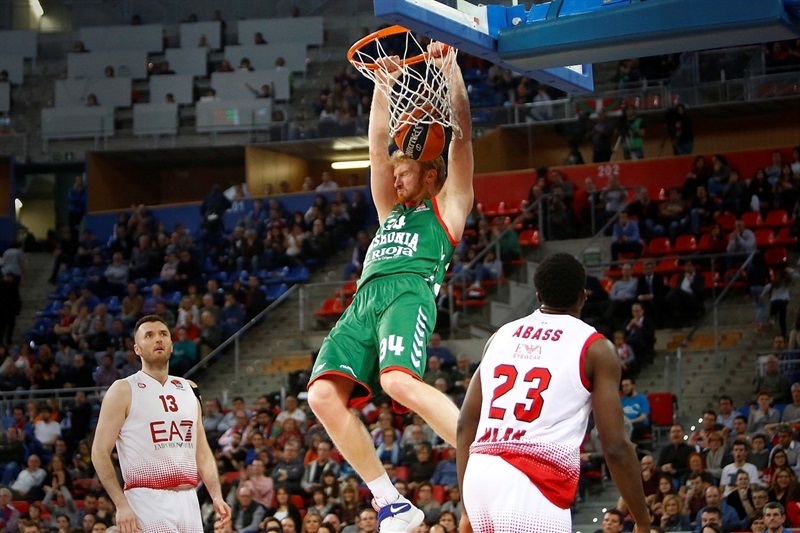 Baskonia held Milan scoreless for more than three minutes and Shengelia and an outstanding Budinger sealed the outcome, 73-53, with over six minutes to go. And little changed from that moment. "First, I want to talk about the first 10 minutes. We have been playing without very good activity not because we didn't want it, but because we were afraid to play our things on defense and offense. It is important to be brave, especially in this kind of game, especially at home. After coming out of the locker rooms, we played better, very good defense, attacking them on each action when they played offense. For example, if they looked for a pick-and-roll situation in the first half, we gave them the opportunity to play. In the second half, they had problems to arrive to pick-and-roll situations, wasting time to arrive to that situation. We are happy for the win and have to get ready for the next one. Obviously, when you see the game, you can say that Milan didn't play well. Milan, however, is a team that had a 22-point lead against Efes just one week ago, losing in the final second, I still don't know how. If you let them play like we did in the first half, they can be very dangerous. They have a lot of talented players and some of them, like Rakim Sanders, are able to score incredible baskets. 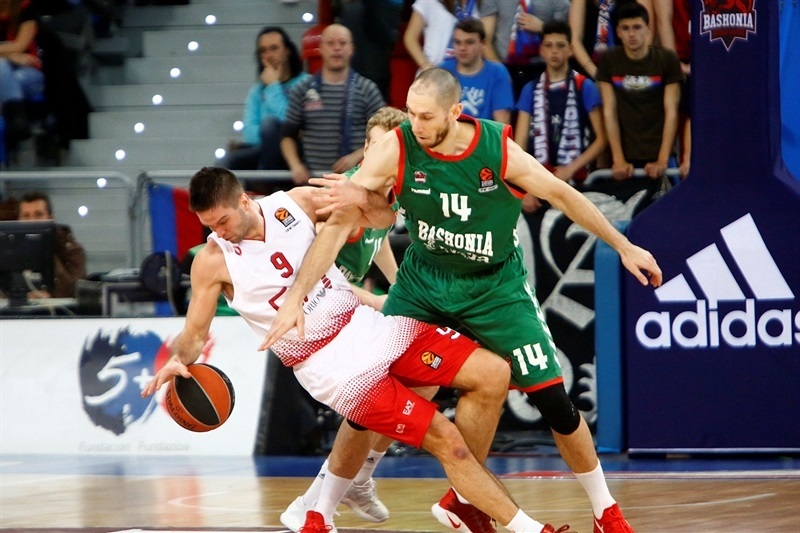 I don't think the team has to be afraid of anything; Baskonia has been in playoffs territory all season long. We have to believe in the things we do, win or lose. 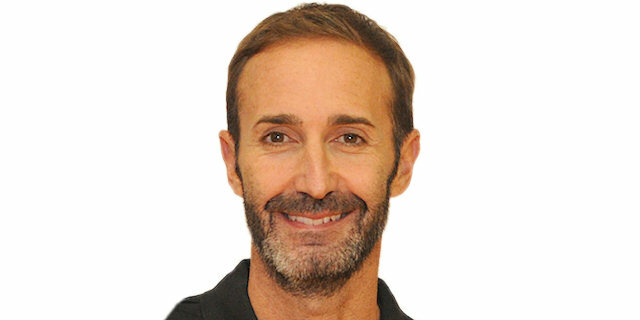 We have to be fresh and play with more rhythm. If we play without rhythm, we are a much worse team. We were more dynamic in the second half and everyone, the team and the fans, enjoyed much more." "It was a big win for us. 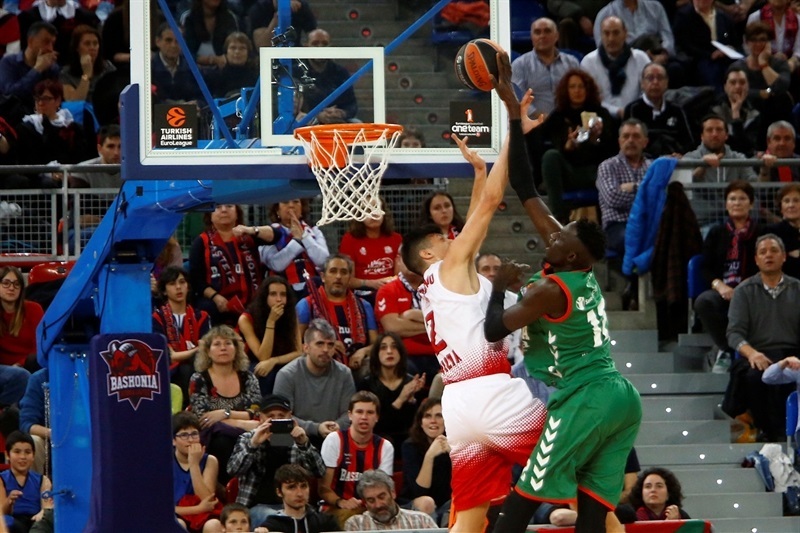 Lately, we have not been doing so well in the EuroLeague and we wanted to get back on track. We were very aggressive on the defensive end. It is great to have Toko [Shengelia] back and the energy that he brings. It was just a great win for us, a much-needed win. I am very happy and pleased with how the team played. I was able to get some easy baskets and most important, I had 7 assists, which is one of the best I have had. I am glad that my teammates knocked down shots for me. I am very happy with the win." "It felt good to come back to our level on defense. We played really aggressive and forced them to turn the ball over and take tough shots, then we ran and that is the way we enjoy basketball. It is great to finally get a win at home in front of our fans. They always help us a lot and are the best fans in Spain and Europe.Thank you to them for coming." "We played well in the first half, but in the second we didn't have enough energy. We let them score some easy baskets, open threes. We didn't have enough energy with all the injuries and that's the problem."